Craft Time! – Autumn Wreath | Tired, Need Sleep. 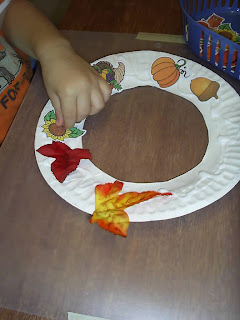 a paper plate with the center cut out. craft leaves (or real leaves if you prefer!). We got our craft leaves at Dollar Tree, but there’s some good clip art leaves here. autumn clip art. You can find your own, or you are welcome to use ours (print 2 sheets to have enough for your wreath) – all the images are public domain. Then, get busy gluing and sticking things on however you like! Punch a hole in the top, string some yarn through, and hang it up for the world to see! Love it!! Maddie and I will have to try this tomorrow! 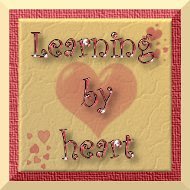 I have noticed you conmment on quite a few of the blogs I also comment on so I wanted to stop by and visit you. This turned out great! I love adding the clip art to the wreath, it made a very fun, original project! Love it (except the cutting part :)). I definitely want to do it with Anna and hang in her room. Thanks for inspiration and for links. 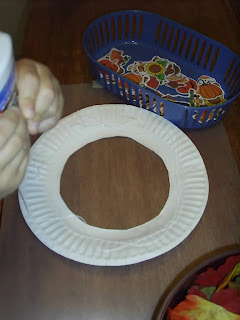 I really like this idea--glue is always fun and easy to prep!